Fully equipped with accessories worth over 800 euros - two 12kg counterweights, special power supply for 10Micron and MAXI clamping plate. The Omegon RC truss-tube 355mm astrograph is an instrument that finds itself at home in a medium-to-large observatory. The optics provide an excellent, coma-free image. 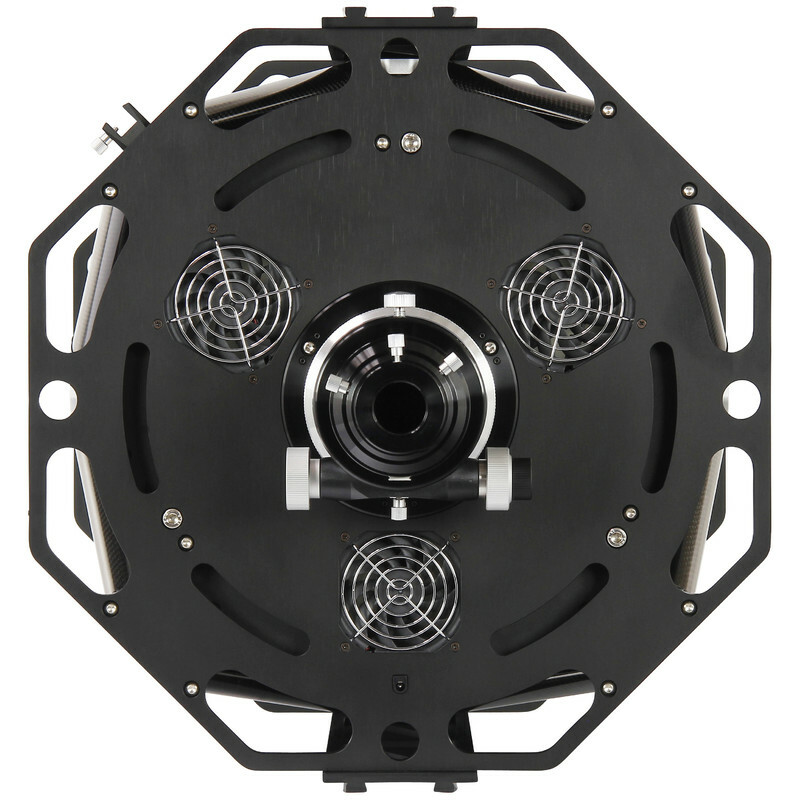 Thanks to the open truss tube design, it quickly adapts to ambient temperature and keeps extremely stable collimation. Perfectly tracked astronomy photos are achieved by combining the RC optics with an Italian 10Micron GM 2000 mount. This is one of the best and most accurate mounts available for amateur astronomers thanks to its professional mechanical engineering. If astrophotography is your passion and you are looking for exactly the right telescope for your observatory, then a Richey-Chretien telescopes is ideal. Their large mirror optics produce a nearly perfect image. The two hyperbolic mirrors provide a large, well-illuminated and coma-free image from the compact design. The result - perfect stellar images right out to the edge of the field of view. That is also the reason why countless professional observatories and institutes swear by this system. Now you can use this professional technology for your own observatory too! 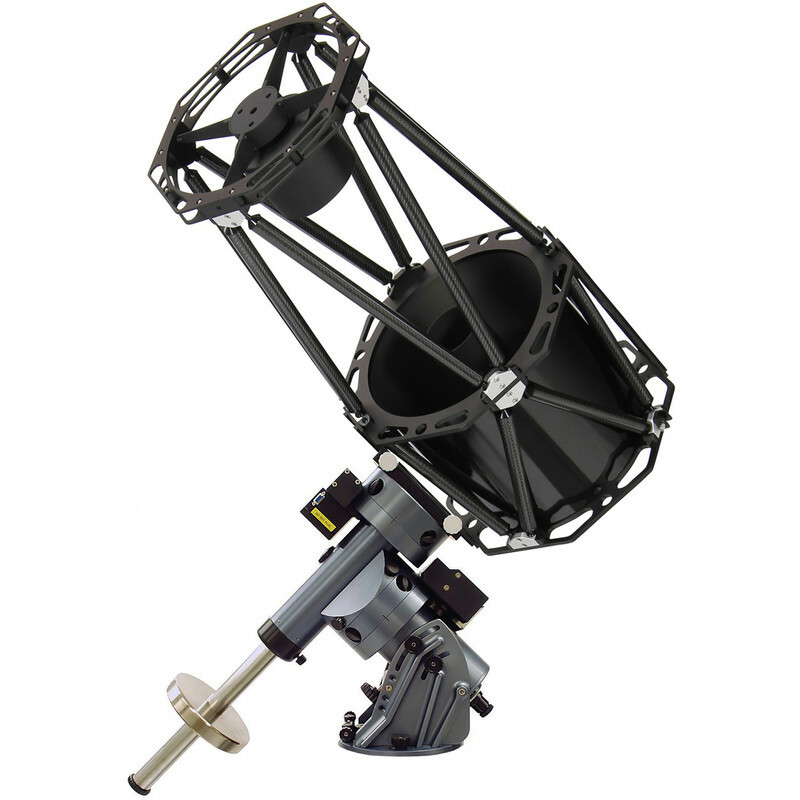 Omegon RC telescopes are so well-balanced that they can be accommodated in even smaller observatories. 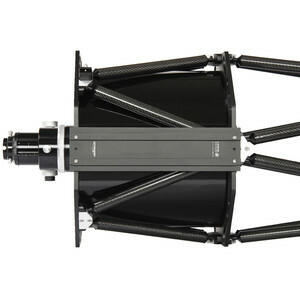 RC telescopes have hyperbolic main and secondary mirrors. They do not use spherical mirrors, such as in Schmidt-Cassegrain systems. As a result, the RC design is clearly superior - the optics provide a significantly wider image field with considerably less imaging aberrations. A very high image quality over a wide field of view - that is the purpose of these telescopes. That is why they are always the first choice for astrophotography. 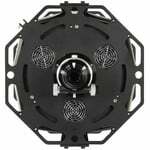 This is the reason why RC systems are the right choice for large CCD cameras. This means that your photos are sharp right out to the edge of the field of view, even without using a corrector, to create beautiful photos of the night sky. 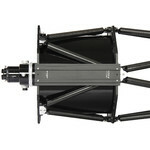 RC telescopes have no lenses in the beam path. This is a big advantage! As a result, problems with refraction effects - such as chromatic aberration or dispersion - do not arise. The usable range of the spectrum beyond the visible light is greater, allowing you to also use your camera to penetrate the UV and infrared ranges - which are often very interesting. You have probably experienced this yourself if you are an experienced astrophotographer - focus drift during long exposures. This is extremely annoying! The advantage with this model is its two quartz mirrors - these undergo virtually no thermal expansion and so provide not just a fantastic image but, once focused, will remain focused for the entire night. Just a quiet, unobtrusive hum, but what an effect! - the built-in 12V fan means 50% faster cool-down of your main mirror. 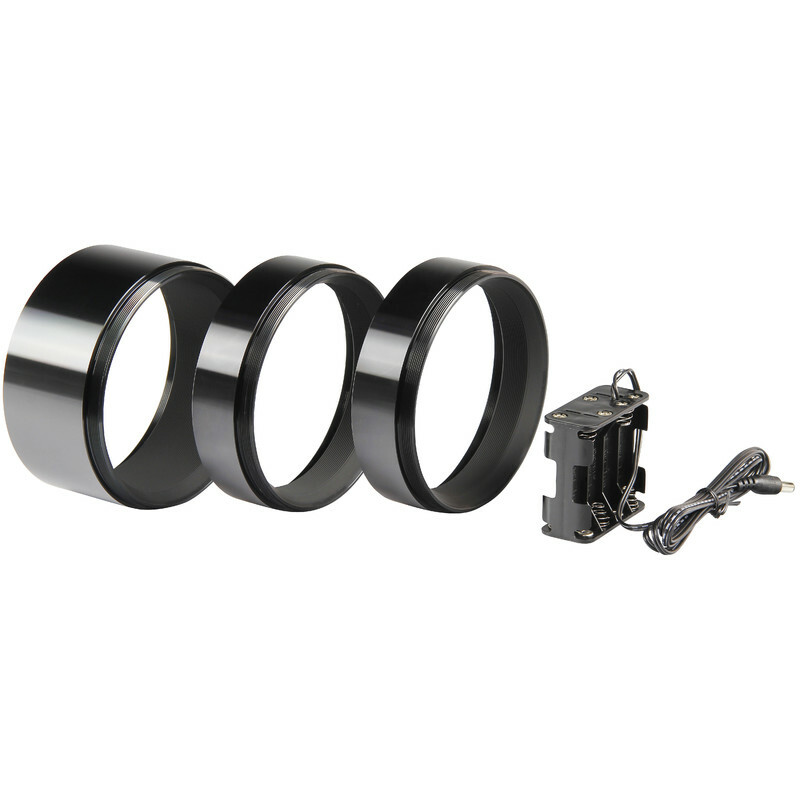 This allows your telescope to reach optimum image quality more rapidly, so you do not have to wait for so long. 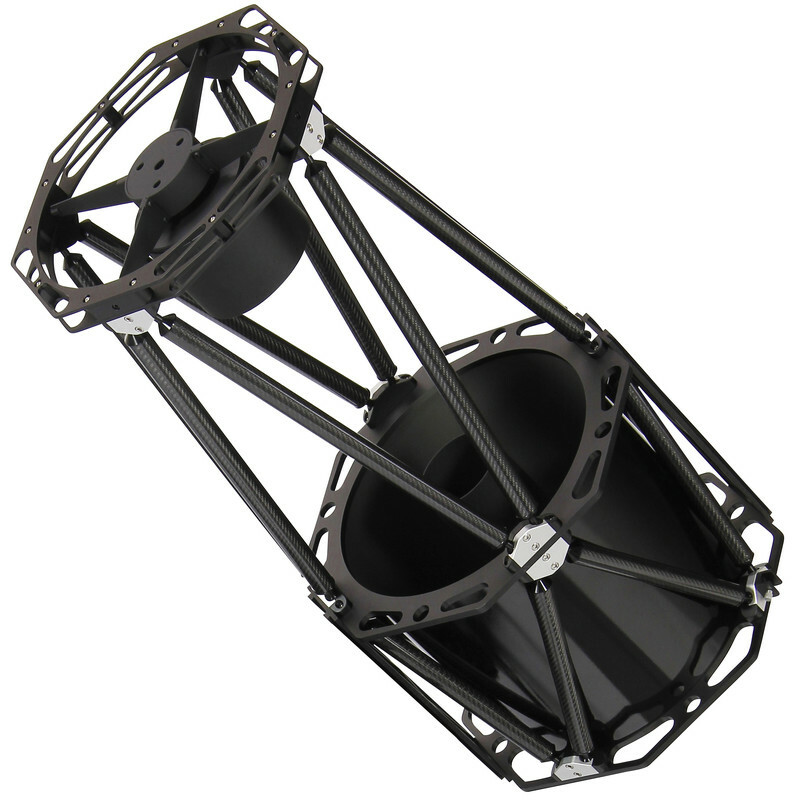 Most professional telescopes use a truss-tube design and this telescope enjoys exactly the same advantages. The carbon-fibre tubes are stiff, light and especially thermally stable - another reason why there is no focus drift. Natural ventilation is better with a truss-tube design and prevents the system from developing its own microclimate. 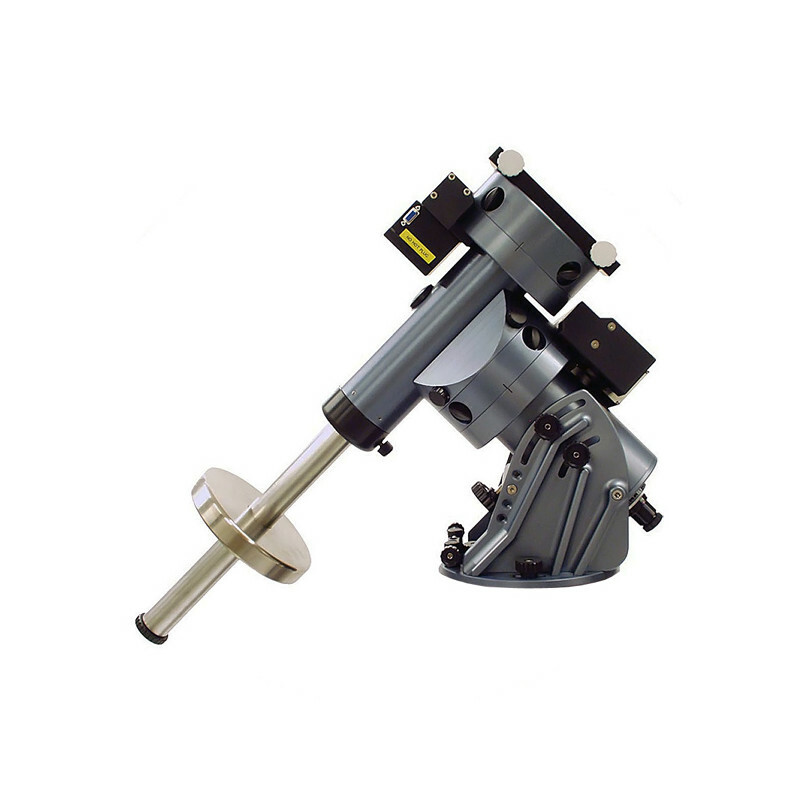 Six collimating screws allow you to precisely align the 3" focuser with respect to the mirror optics, thus ensuring the following - no slipping, the eyepiece or your camera sits on the optical axis. The focuser even has a genuine 3" diameter - this should not to be taken for granted, as many similar focusers taper off toward the eyepiece end. To start with, an RC telescope is completely different to the classic SC or Maksutov design. It has no corrector plate and is hence an open system that adapts faster to the ambient temperature than an SC telescope. The absence of a front corrector plate also means that the telescope provides brighter images with no risk of internal reflections. 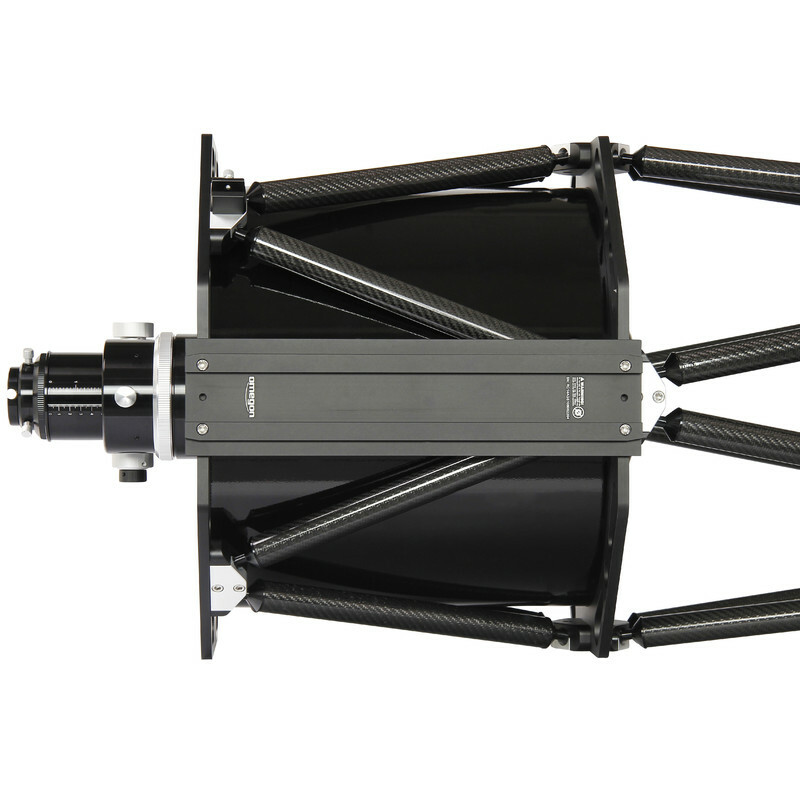 Ritchey-Chretien systems are the most highly corrected two-mirror telescopes available. 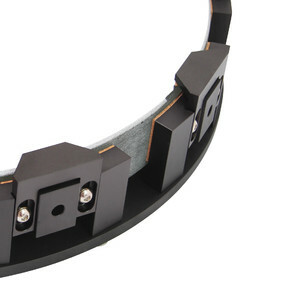 Their edge-to-edge image sharpness is impressive, so it is no wonder that practically all large research telescopes use this design of telescope in their professional observatories. Making hyperbolic mirrors is both a science and an art. Up to only a few years ago, RC telescopes were among the most expensive telescopes in the world - only international institutions used them for research. But this technology is also now also affordable for experienced amateur astronomers. There's not the slightest doubt! This 'Italian beauty' has it all! An extremely robust, high-precision mechanism combined with highly developed electronics and software leave nothing to be desired for the ambitious astrophotographer! Professional mechanical engineering level drive technology ensures high precision tracking with no free gear play - ensuring a guaranteed average error of <+/-3 arc seconds. Thanks to an iterative process, the mount can be positioned so precisely in just a few minutes that deep sky astrophotography is possible even without guiding using short focal length astrographs. Tripods and Baader counterweights for GM 2000 QCI / GM 4000 QCI can be found on the accessories page. 10Micron is the only manufacturer who provides its mounts with 'stand-alone' electronics, meaning no laptop/PC is necessary. The AMD microprocessor control provides LINUX firmware for the hand controller to provide comprehensive functionality. For example, a similar function to 'T-Point' for extreme positioning accuracy in the range of arc seconds. Computing and tracking comets and satellite orbits without a PC is no problem! The extensive internal database is being constantly expanded and can be updated via the Internet. The controller can be upgraded to the new QCI V2.7 firmware. The GM 2000 QCI is produced in two versions - as a stationary ('monolith') mount, or as a portable version with a quick-release coupling between the declination and right ascension axes ('Ultraport'). As a result, no part of the mount weighs more than 15kg - a huge advantage if you still want it to be portable. In addition, there all the necessary accessories are available - e.g. a transport case suitable for air travel, a tripod bag, as well as attachment plates and prism clamps for (almost) all dovetail systems. Choose between an extrovert fire red, an intense deep sky blue or a more reserved stainless steel grey. The quality remains the same regardless of which version you choose. Delivery time for the GM 2000 QCI is about 2 months. The standard colour is Stainless Steel Grey. Ferrari Red or Deep Sky Blue are available on request but may require a longer delivery time. 100kg steel columns in any desired height and matching flanged heads are available at extra cost if you intend using a fixed installation in an observatory. Just ask us and we will advise you!